A traditional Content Management System (CMS) allows people with moderate computer skills to update website content (images, multimedia, links, and text), edit menu items, and add web pages. 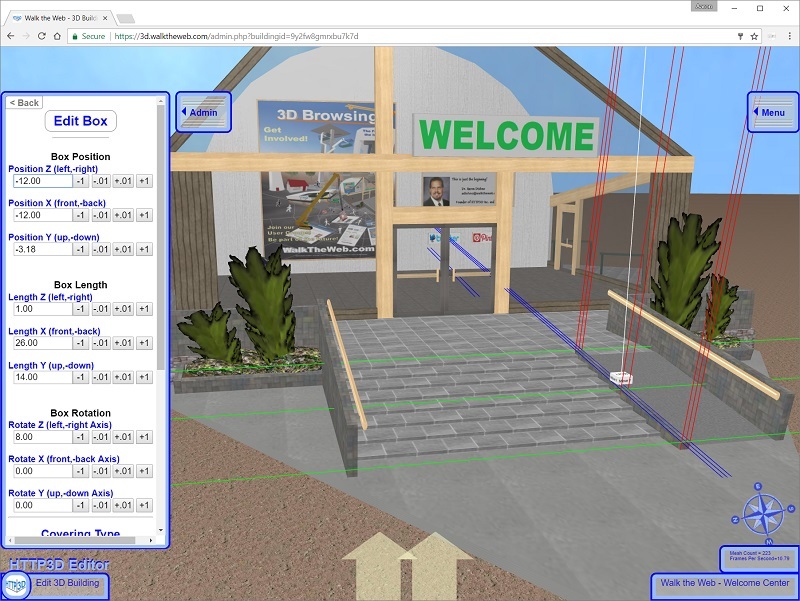 HTTP3D Inc. has created the world’s first 3D Content Management System (3D CMS) for creating and maintaining 3D Building Websites and 3D Community Websites. 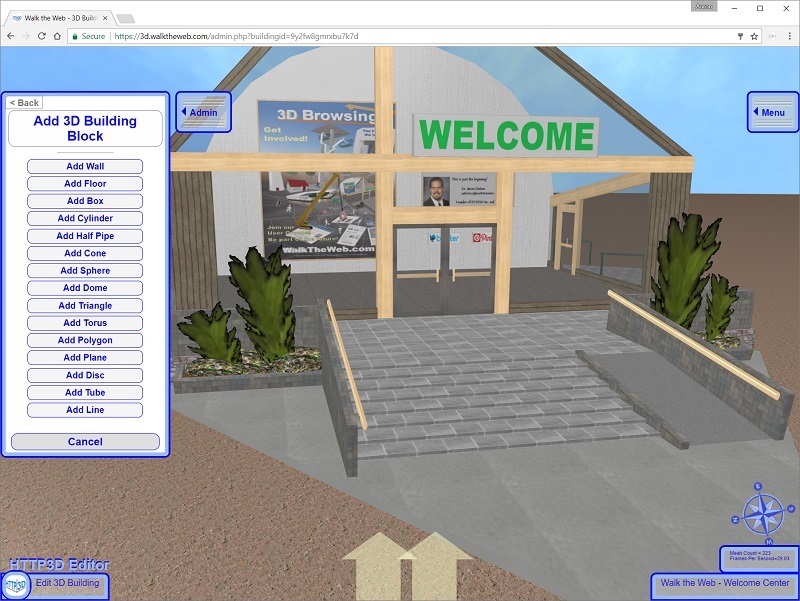 Use our 3D CMS to update web content like images, multimedia, links and text on 3D Building Websites, and to add and edit the 3D Building Blocks that create the 3D experience. The 3D CMS is a powerful tool that can be used to build 3D Building Websites and 3D Community Websites. Using the 3D CMS, you can change the position, length, width, and height of each 3D Building Block as well as the texture on it. Using Constructive Solid Geometry (CSG), a feature found in the 3D CMS, we can subtract and intersect 3D Building Blocks to create an infinite amount of new shapes. Using CSG to cut two cylinders out of a sphere. The appearance of each 3D Building Block can be changed and manipulated using the 3D CMS. We can change the texture of each 3D Building Block, essentially changing the way it looks. And using the advance features of the 3D CMS, we can change the scale width and height of the texture, allowing us to have more control over it. 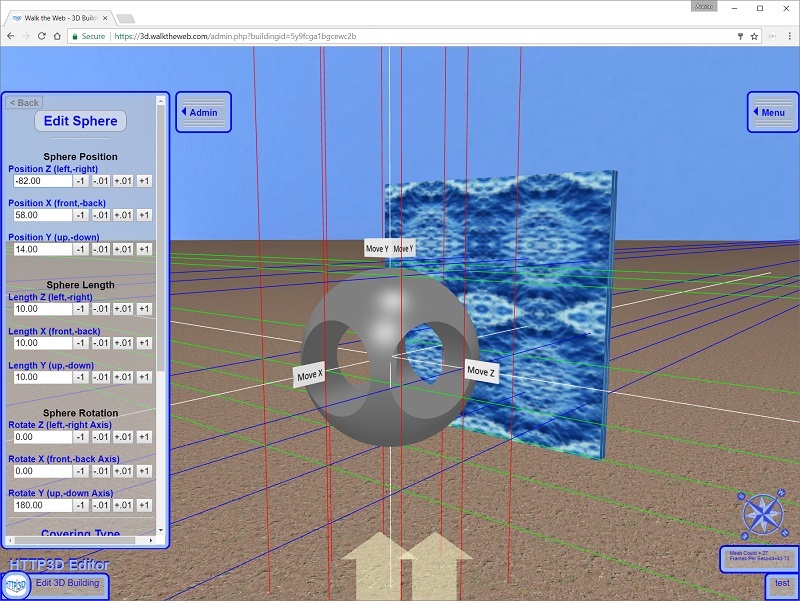 Using the 3D CMS to change a texture on a 3D Building Block. 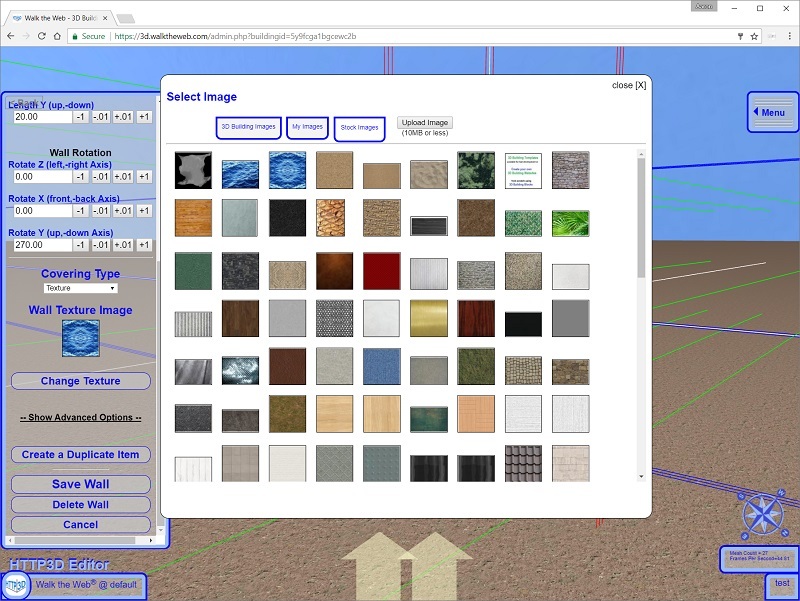 If you would like to learn more about the 3D CMS, check out the Tutorials.